Considered as birthplace of vodoun, Benin contains many scattered patches of forest and tree groves of primary religious, ethno-botanical and conservation significance known as sacred forests. These forests have an important socio-ecological and cultural function. But under growing demographic pressures many of these sacred forests are disappearing; others maintain a fragile status as sites for religious practices and as natural gardens for the collection of plant material for traditional medicine. Conserving these forests is currently a challenge to take up. The main challenges for the sustainable management of these forests are related to (i) Weakening of traditional leadership and religious practices associated with the conservation of sacred forests affect biodiversity resources while there is little experience in community managed forest and participatory processes; (ii) no legal framework for Sacred forests under which their resources and biodiversity can be protected (iii) over exploitation of forest products (iv) Increasing poverty and food insecurity in surrounding villages increase pressure on sacred forests resources. To safeguard these forests, the Government is implementing some strategies for integration of sacred forests in the protected area system through a new form of co-management that integrates traditional knowledge and practices and modern science. 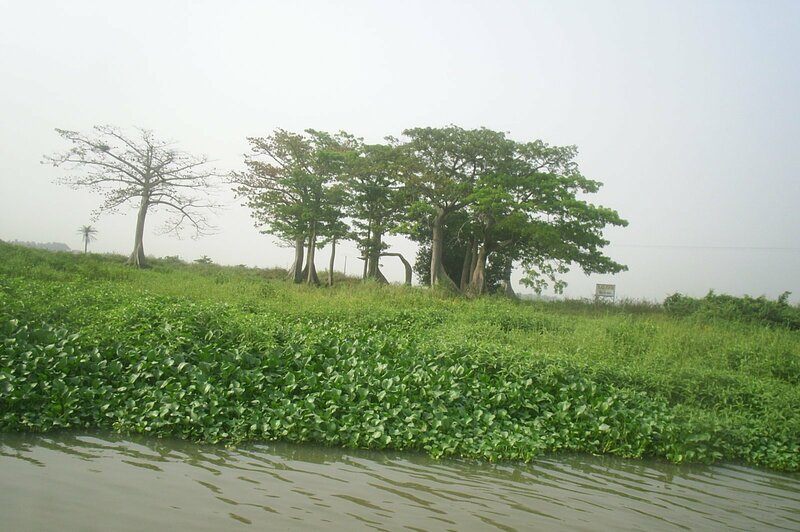 This survey is undertaken to share Benin experience in taking up the complex challenge of attaining a wide range of sustainable land use objectives and integrating biological resource management into the everyday lives of local people. Benin is a country located in Western Africa with an area of 122 600 km2. Considered as the “birthplace of voodoo” (or Vodoun, as spelled in the local language meaning “god”), the county contains approximately 2940 sacred forests according to an inventory undertaken by researchers (Sokpon and Agbo, 1999). These forests cover an area of 18,360 hectares which represents about 0.2% of the total area of Benin. 70% of the ‘forests’ are small sacred groves of less than 1 ha (Photo1), 18% extend to an area of between 1 ha and 5 ha and 12% are larger than 5 ha. These forests have not received legal protection status from the State like the official protected forests (modern protected areas) but were able to maintain the integrity of their resources until the recent past. They represent a successful model of sustainable traditional management and conservation of biodiversity. Based on strong cultural and religious beliefs, this traditional forest management system has proven to be highly effective against forest clearance and forest degradation. The principle of this method of conservation is based on fear and respect for traditional local beliefs, the strength of traditional authorities, the power of dignitaries and religious leaders. Currently as the power of traditional authorities within the community is weakening, taboos are no longer respected. Most sacred forests are affected by an abused and uncontrolled exploitation and are subject to an alarming deterioration. Under growing demographic pressures many of these sacred forests are disappearing. The Government of Benin through the General Directorate of Forests and Natural Resources is engaged in a strategy for integration of sacred forests in the protected area system through a new form of co-management that integrates traditional knowledge and practices and modern science. This survey is undertaken to share the experience of attaining a wide range of sustainable land use objectives and integrating biological resource management into the everyday lives of local people through the adoption of a strategic and holistic framework in order to achieve a whole landscape system management approach. Sacred forests have strong socio-cultural and religious functions. They represent shelters for deities, places of worship, rituals or other ceremonies. As economical functions, they represent a place where the local population can collect deadwood, medicinal plants, and NTFPs). Generally, there are strong links between a sacred forest and the history of the village to which it belongs. Villages very often bear the names of sacred forests. Access to sacred forests belonging to secret societies is completely forbidden to the non-initiated, while access to cemetery forests, fetish forests and community forests is subject to the authorization of traditional chiefs. In addition to traditional customs that protect sacred forests, persons found guilty of improper activities (including ecological degradation) within sacred forests are subject to penalties, which may range from simple warnings to fines (usually paid in livestock) to bewitchment. – Forests of the ancestors. These forests are said to house the spirits of the ancestors. It is usually where the first occupant of the village is buried. Some of these forests have become cemeteries for village dignitaries. These are forests where the rituals are performed to benefit the community. – Forests of the dead. These forests serve as burial sites for people who die in a bizarre or violent event (following a road accident, in a fire, during child birth, struck by lightning or drowned). For fear of suffering the same fate as the dead they are buried in special forest and groves. – Forests of the gods and spirits. They are most numerous and can accommodate several deities or forest spirits in one site. Common vodoun deities include: Danzoun Dan (forest of snake god), Nyiglinvé (rainbow god), Xèbiossozoun Xèbiosso (god of lightning), Sakpatazoun Sakpata (god of the earth) and Lissazoun (symbolized by the chameleon). There are also forests that local people call “principal sacred forest” whose deities are consulted only in case of serious problems and when the sacred forests called “secondary” are unable to find solutions to their problems (deadly epidemic, persistent drought, etc.). – Forests of secret societies. They serve as places of secret society initiations. They include the Orozoun or forests of Oro, the Kouvitozoun Kouvito forests and the Zangbétozoun or forest of Zangbeto (these vodoun deity embody the dead and the ghosts). Despite their small size, sacred forests represent a significant tool for conservation and the sustainable use of biodiversity. First, they are highly important as refugia within the productive landscape for numerous species, some of which provide important benefits to the surrounding productive lands, such as pollinating insects and birds, and plant species used for live fences and hedges. Secondly, sacred forests also function as in-situ seed-banks and genetic reservoirs (Photo2). Some of the flora and fauna species found within sites or in their vicinity include threatened and endangered species. For example, both the hippopotamus and the crocodile are considered sacred animals. These sacred species are protected by local communities within, but also outside sacred forests. 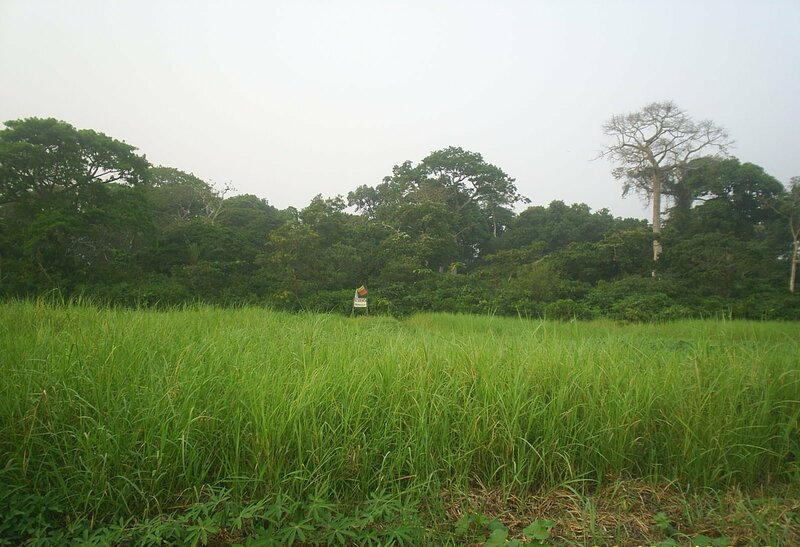 Thirdly, as landscapes that have been carefully managed over tens and even hundreds of years, sacred forests’ ecosystems and species assemblage are somewhat different from any of the areas currently included in Benin’s system of PAs, and also different from the cultivated landscapes by which they are surrounded. The diversity of forest species within the sacred forests (DBH equal or greater than 10 cm) varies from one forest type to another and between 3 and 55 species (Sokpon and Kokou 2006). Moreover, sacred forests generate other ecological benefits, some of which go beyond the area immediately covered by the sites. 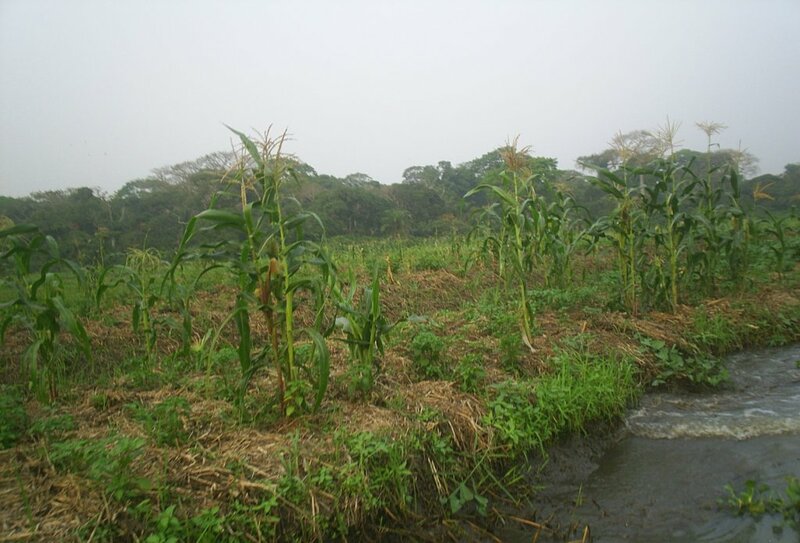 These include the protection of water sources (Photo3), barriers against soil erosion, safeguarding of soil fertility and carbon sequestration. 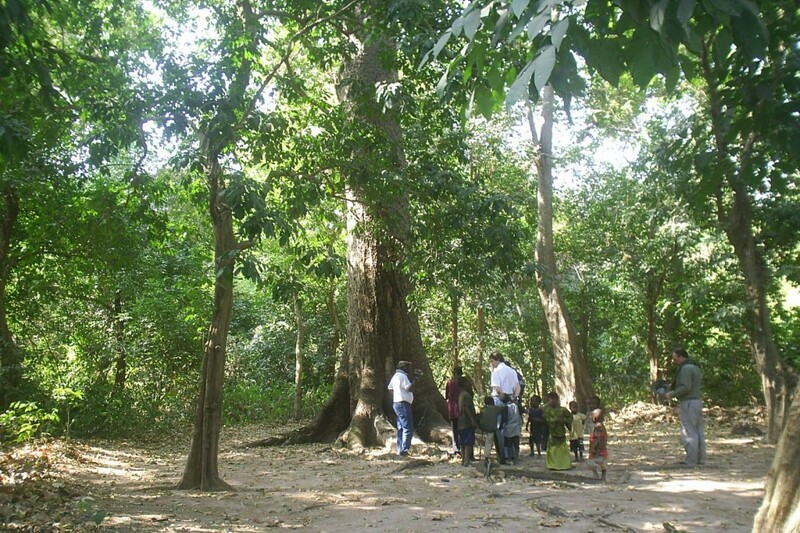 In Benin, some species of trees or animals are sacred and therefore protected. A sacred tree is tied to a practitioner for his entire life (Sokpon and Kokou, 2006). The believer identifies with the qualities of the sacred tree: for example strength and greatness of the baobab, the splendor of iroko (Milicia excelsa, etc). The sacred species vary from one region to another. For example, some species of python are sacred in certain parts of the south but not in the north. Sacred forests are rich in biodiversity. These resources are used by local populations for many purposes (Table 1). Photo2: A century year old tree in a sacred forest producer of seeds. Hippopotamus amphibus Also a sacred, worshipped animal, believed to provide villagers with abundant fish catch. Although detailed and systematic surveys of biological resources found in sacred forests are still lacking, there is sufficient evidence in existing studies(For example MEHU/PNUD (2002), which is the ‘Traditional Knowledge Report’ published in 2002 in connection with the NBSAP Add-On project. See Box 1, source #4 for the full name of the report. ) that sacred forests have higher concentrations of useful, rare and threatened plants (e.g. Garcinia kola) and animal species (e.g. Psittacus erithacus and Colobus vellerosus) per unit area than what would be usually found outside sacred forests and their area of influence. Among the identified biodiversity in sacred forests are also numerous medicinal plants, large trees considered sacred and several fruit trees, which attract avifauna and other wildlife. In the last decades, traditional slash-and-burn farming practices have been replaced by more intensive agricultural methods and by commercial crops, especially, cotton, cashew nuts and palm oil. As it usually happens, such changes affect peasants, increase the pressure on the remaining natural resources, reduce the size of forest remnants, affect their structure and composition, deplete game animals and create ever smaller forest fragments. When gallery forests connecting these patches are destroyed as well, these forests start an inevitable slide towards ecosystem degradation and biodiversity loss. Although many of the sacred forest of central and southern Benin have been preserved because of their cultural and religious significance their present condition as remnant samples of the original forest cover is precarious. In the northern part of the country the conditions are better because sacred forests are larger, connectivity with other natural areas functional and the forest stewardship function of traditional authorities relatively strong. The following are the major factors affecting the viability of sacred forests and the survival of biodiversity within them. Legal status within the PA system. Presently sacred forests as communal lands are not part of the official public forest domain. As the power of traditional authorities within the community is weakening, sacred forests are threatened and biodiversity lost. Providing a legal framework within the protected area system of Benin will go a long way towards legitimizing conservation and forest management efforts, strengthen the social position of traditional authorities and reverse resource degradation and biodiversity loss. Weakening of the power of traditional authorities. Traditional authorities in charge of sacred forests -and especially those whose authority derives from the practice of voodoo rituals and the enforcement of ancient taboos, are increasingly being challenged by the social and economic status conferred by modern religions, the loss of followers, the questioning of secret societies and rituals. In such cases, taboos are difficult to enforce, the social status of voodoo priests is eroded and the power of local kings diminished. As a result of the public decentralization law, municipal authorities are to assume responsibility for the management of forest resource (including sacred forests) located within their jurisdiction. Communes do not have in most cases, the technical capacity and financial resources to assume the role of forest managers. Moreover, for political reasons municipal governments also tend to avoid confronting traditional authorities on the use and conservation of sacred forests. Land pressures: As commercial crops expand and the rural population grows, the demand for farmland and human settlement continues to increase putting pressure on remaining forest areas. Whilst in some areas land is generally available, the soils within forests are considered richer than on the outside, thus conversion of this land to crops is seen as advantageous. Where controls are weak, sacred forests are logged, and the land is converted for other uses such as agricultural, house construction, etc. Bushfires are a constant menace to forest resources in the savannah region of Benin. These fires are usually set by people for a variety of reasons for example: (a) hunters burning grass to drive small animals into the open, (b) herders setting fires to encourage a new flush of grass for their stock, (c) farmers engaging in pre-emptive burning to protect fields, groves etc. and (d) farmers creating ash to fertilize low-yielding soils. Whatever the reasons for bushfires, they are a threat to savannah forests affecting the herb, shrub and understory trees, decimating wildlife, destroying the microbiology of soils and ultimately destroying the forest completely. As sacred forests become smaller in size and the forest structure more open they become easy victims of out-of-control bushfires thus affecting their long-term ecological viability and reducing ecosystem functions. Threats to the local biodiversity: In some sacred forests the local tree species are replaced by exotic fast growing species (Tectona grandis, Eucalyptus, Acacia auriculoformis). 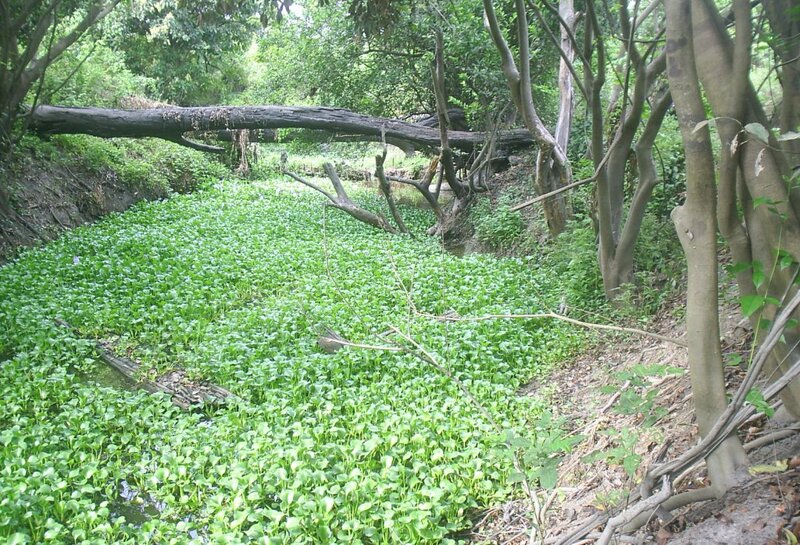 In other cases, sacred forests are invaded by invasive species such as Azadirachta indica or water jacinth (Photo6). According to the national forestry law, the sacred forests belong to the non-public domain which includes collective or community properties. The law on decentralization extends the authority of the municipal governments onto all lands -including collective property, community lands and sacred forests, located within the municipal limits. Most municipal governments however, recognize the special status of sacred forests and tend to respect the traditional authorities’ ancestral rights on the use and conservation of these forests. The institutional-political context of most sacred forests is further complicated by the fact that many mayors derive their political power from informal alliances with traditional authorities, local kings and voodoo priests. In addition, most municipal governments are unprepared to take on sacred forest management and prefer to share this responsibility with traditional authorities, especially when local kings and village chiefs are still active. In this project, municipal governments will play a coordinating role and work side by side with traditional authorities in the management and conservation of sacred forests. Facing the increasing degradation of sacred forests, strategies to achieve sustainable management are undergoing implementation. The main challenges are identified and appropriate solutions are defined. Challenge 1) Sacred forests have no legal framework under which their resources and biodiversity can be protected. The failure to clarify property or usufruct rights may create disincentives for the good stewardship of resources that provide the basis for sustainable livelihoods and the sustainable use of biodiversity within sacred forests and the surrounding areas. A legal framework on the sacred forest as part of Benin’s protected areas system is being elaborated. Such status will make sacred forests the object of attention by the country’s forestry authorities and the subject of public intervention and financing. This will help all the stakeholders to implement conservation actions and protect forest resources within the institutional and legal framework of the country’s protected area system. Faced with the weakening of traditional leadership and the religious practices associated with the conservation of sacred forests, reversing current religious and cultural trends is not achievable. But implementing forest conservation mechanisms which strengthen the forest manager role of traditional authorities, and other stakeholders is doable. This support will in turn, lead to stronger stewardship of forest resources resulting in biodiversity conservation. Allowing the National Forest Administration (NFA) to work closely with traditional authorities and engage them directly in forest conservation will reinforce the legitimacy of their authority vis-à-vis the community. This objective is be achieved according to: (a) the degree of erosion of traditional authority, (b) the amount of perceived benefits the community derives from sacred forest conservation and sustainable use, and (c) the level of collaboration among the NFA, the municipal authorities, community groups, and the NGO. The challenging aspect of this process will be to design and carry out implementing arrangements that will enable traditional authorities, municipal governments and national forestry entities to work together towards the effective stewardship of sacred forests. In order to counteract the threats derived from uncontrolled harvesting of plant material for medicinal purposes and for firewood and charcoal, a set of actions aims at producing such products in the buffer zone of sacred forests with community participation. The National Association of traditional healers has embarked with support from the Ministry of Public Health of Benin, in the establishment of “botanical gardens” specifically devoted to the production of plant material used in traditional medicine. In addition the legal framework for sacred forests will help to define a consensus on resource exploitation. Challenge 4) Increased poverty and food insecurity in the local population increases pressure on the sacred forests resources. To reduce poverty and food insecurity in the local population, appropriate income generating activities will be developed such as private plantation, promotion of non timber forest product etc. The threats on forest resources will be addressed through a community-based strategy of communication and environmental education led by traditional authorities in collaboration with forestry agents and municipal authorities. The contribution that sacred forests in Benin can make to the sustainable use of biodiversity will be capitalized. Through the project Incorporation of Sacred Forests into the Protected Areas System of Benin some actions are implemented in 10 clusters of sacred forests in Benin. The project objective is to promote the sustainable use of Benin’s Sacred Forests as a network of community-managed conservation areas incorporated into the national system of protected areas. The project is supposed to help to avoid further loss of biodiversity contained within the sacred forests of Benin by establishing an institutional framework for sacred forests, including the clear definition of roles and responsibilities for their management. Similar actions are needed for the numerous remains sacred forests in the country. Kokou K. et Sokpon N, 2006, Les forêts sacrées du couloir du Dahomey. In Bois et forêts des tropiques. 2006. N°288 (2), 15-23 pp. Sokpon N et Agbo V., 1999, « Sacred groves as tools for indigenous forests management in Benin ».Annales des Sciences Agronomiques Univ. Nat du Bénin (1) : 162 -175. 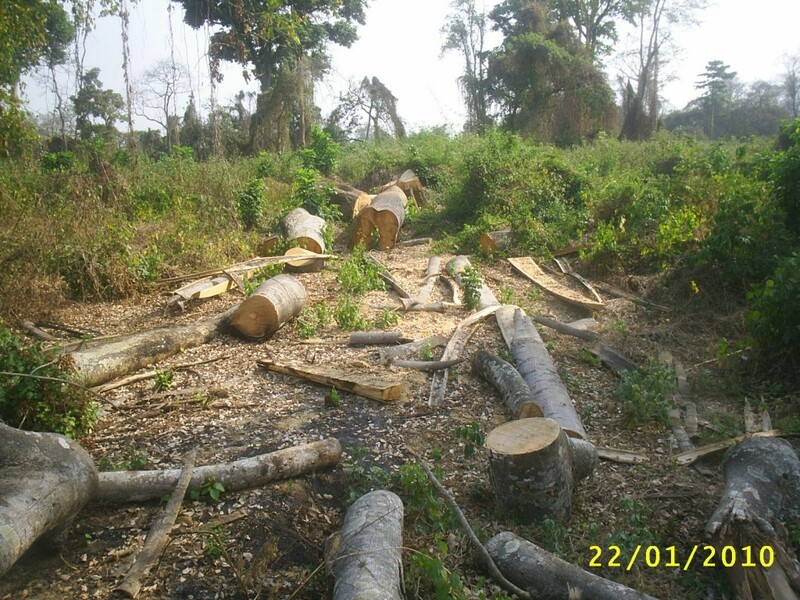 Sokpon N., Ametépé A. et Agbo V., 1998, « Forêts sacrées et conservation de la biodiversité au Bénin : 1. cas du pays Adja au Sud-Ouest du Bénin. » Annales des Sciences Agronomiques du Bénin Cotonou, Université Nationale du Bénin, FSA..